In Badenach v Calvert  HCA 18 the High Court did 2 things. Firstly, it clarified the scope of a solicitor’s duty to an intended beneficiary, this being the duty originally identified in Hill –v- Van Erp (1997) 188 CLR 159;  HCA 9. Secondly, it resolved the dispute before the court. The first thing will have long term relevance. The second will probably have less so. The majority of the Court stated that a solicitor’s duty is to exercise care and skill in giving effect to the client’s testamentary intentions. This clear statement is a welcome development because Hill –v- Van Erp was a largely unsatisfactory decision. There were various reasons. Largely this arose from the court being constituted by 6 judges, all of whom delivered separate reasons for decision. Five found in favour of a duty of care, but finding the ratio decidendi of the decision was elusive. The lack of clarity caused difficulty for trial judges and intermediate appellate courts (and let’s not forget practitioners and their professional indemnity insurers). It resulted in lower courts extending the duty to advising on methods to avoid family provision claims (Calvert v Badenach) but not to suggesting the preparation of an informal will (Howe –v- Fischer) ; and to conflicting positions on whether a solicitor must advise on severing a joint tenancy (Smeaton v Pattison cf Vagg –v- McPhee). Conduct which invalidates the will or a gift therein. In Hill –v- Van Erp this occurred because the solicitor allowed the will to be witnessed by the spouse of a named beneficiary. However, note that the current law in NSW about witnesses would not produce that consequence. Failing to arrange for a will to be made by direction. In Summerville –v- Walsh  NSWCA 222 the solicitor was negligent for failing to advice a critically ill client who could not use his hands that his will could be made in this manner. Failing to take reasonable steps to find the executor and inform him or her of the existence, contents and location of the will. This was the negligence found in Hawkins –v- Clayton (1988) 164 CLR 539;  HCA 15. This is consistent with the duty to give effect to the client’s testamentary intentions, as failure to take reasonable steps to inform the executor of the will means that the deceased’s estate is not administered and distributed to the intended beneficiaries. Failing to produce the will within a reasonable time. If the retainer is silent about the timeframe for producing the will, it must be produced within a reasonable time. What time is reasonable will depend on all the circumstances, but the decision in Maestrale –v- Aspite  NSWSC 1420 is likely to be repeated. As to future claims, the court observed that the solicitor’s duty to the client cannot be compromised by a duty to a person whose interests are not coincident with those of the client. It would be contrary to legal principles in a range of areas of law, including contract, property, trusts and tort, for there to exist inconsistent rights and duties. Accordingly, the duty owed to a third party when acting in accordance with a client’s retainer must be consistent with the duty owed the client pursuant to that retainer. The solicitor would be horribly conflicted if it were otherwise. In the case of a testator and an intended beneficiary under the testator’s will, the interests are considered coincident. If the circumstances suggest that the obligations aren’t coincident, no duty is owed. The majority of the court decided Roger Calvert’s claim on the basis on which it had been conducted by the parties. They noted that the solicitor (who could have learned about the client’s daughter from earlier wills) should have made enquiry about the client’s family. The majority of the court noted that it was conceded that the solicitor, Robert Badenach, was obliged to advise the client that it was possible that a family provision claim might be brought by an eligible person against the client’s estate. On this basis the majority concluded that the solicitor would have needed to identify the options which would appear to be available to the client, ranging from endeavouring to thwart any claim to doing nothing. do nothing with regard to the daughter, maintain his original instructions, and allow events to take their course after his death. “there would have been other matters put to the client for his consideration including the risks concerning the irreversible nature of the inter vivos transactions, and the associated cost and delay. Given these considerations, and the uncertainty that the daughter would make a claim, there is no reason to think that even if the client had been given the advice contended for, he would have been more likely to undertake [inter vivos] transactions of this kind than, say, simply pursuing his original course of action, by which [Calvert] was to be the sole beneficiary under the client’s will”. Further, Calvert had “not established that there is a substantial prospect that the client would have chosen to undertake the inter vivos transactions”. Comparing the position advanced by Calvert with the recognised duty by the solicitor to an intended beneficiary, the majority said: “The advices which [Calvert] says should have been given in discharge of that duty would have rendered it unnecessary for the client to name [Calvert] as a beneficiary in his will”. They added that “[t]he solicitor’s duty is one protective of the client and his interests alone. On one view of the majority’s reasoning, a solicitor will always owe a duty to a client to advise on the consequences of family provision claims when taking instructions for a will unless the retainer excludes that duty. On another view, which I hold, the High Court didn’t recognise such a duty: all it did was respond to the parties’ submissions which assumed that duty. On this view, whether such a duty is owed to the client in every circumstance where it is not excluded by the retainer will need to await determination on another occasion. A more certain conclusion is that a solicitor is not answerable in damages to a third party for a failure to advise the client on the consequences of family provision claims. 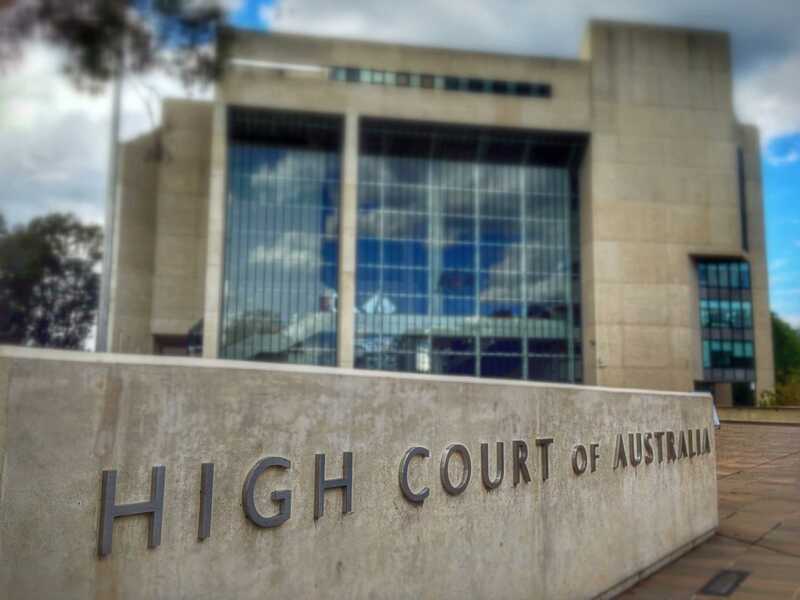 Finally, the Tasmanian Full Court’s decision that extended the solicitor’s duty to a third party to advising the client on methods to avoid family provision claims was overturned. However, there was no guide in Badenach as to the fate of a solicitor who fails to advise on the need to sever a joint tenancy to enable the testator’s testamentary intentions to be fulfilled. Similarly with the preparation of an informal will. The two decisions of the minority gave a narrower compass to a solicitor’s duty, and would be more favourable to solicitors than the position of the majority. However, because these views are not binding on lower courts whilst the reasons for decision of the majority are, I have deliberately refrained from reviewing the minorities’ decisions. French CJ, Kiefel and Keane JJ. NSWCA 29; (2013) 85 NSWLR 154. See also Miller –v- Cooney t/as Howard Cooney Harvey  NSWCA 380. This being implied in the absence of an express provision on time: Reid –v- Moreland Timber Co Pty Ltd  HCA 48, (1946) 73 CLR 1, 13. See also White –v- Jones  2 AC 207. And, I expect, that not all claims succeed. Rant on separation of powers The harm caused by unqualified people Professional development 15 June 2016 is World Elder Abuse Awareness Day  Homemade wills and will-kits: Are you serious?